The roseate spoonbill is one of the most beautifully coloured birds belonging to the ibis family. 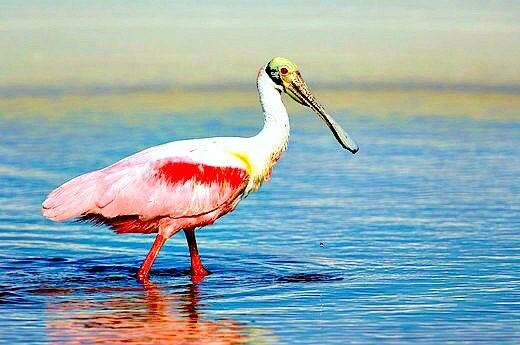 Averaging 61cm (2ft) in height, the roseate spoonbill’s most obvious characteristic is its large spoon-shaped bill, which it uses to strain food from the water. The spoonbill nests in large groups in trees above or near the water. Because the species was hunted almost to extinction for its brilliantly coloured plumage, roseate spoonbills are now mainly found in the Florida Everglades and surrounding areas.